My Kids were asking for brownie for so long. 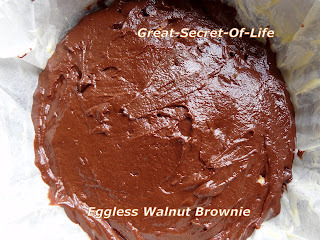 I have this pre notion that Brownie will be difficult to do. 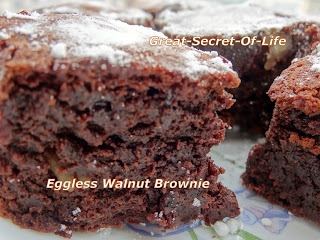 Other day when I was browsing for eggless cakes I came across this recipe in http://thechefandherkitchen.blogspot.com/2011/03/eggless-cocoa-walnut-browniesand-my.html and realized that brownie is not difficult. Of all the cakes I like Cheese and brownie the most. So decided to give it a try. Sift all purpose flour, icing sugar, baking soda,salt and cocoa powder together a couple of times until you get a uniform mixture of them. Melt instant coffee powder in a tbsp of hot water and let it cool. Melt butter in a deep pan on low heat and let it cool.If you are using oil ignore this step. 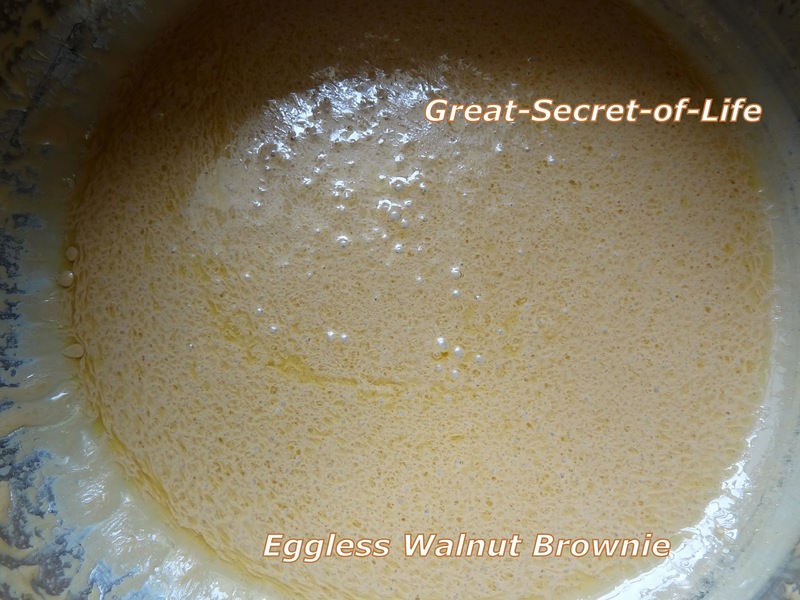 Whisk in the melted butter/oil into the butter milk and add vanilla essence and coffee decoction and whisk again until you get a uniform mixture. 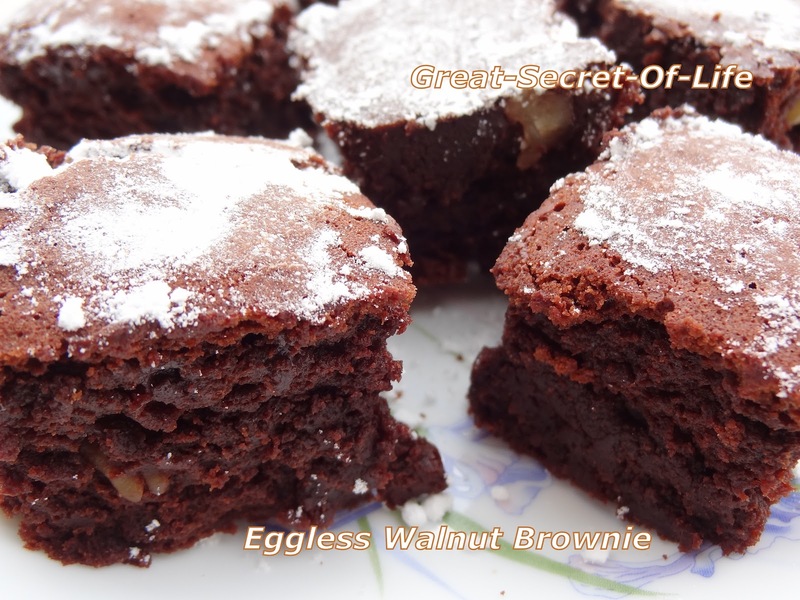 Dust the chopped walnuts and choco chips/dark chocolate pieces with a teaspoon of flour and fold the dried nuts and chocolate pieces into the batter. Grease an 8" backing tray and line up a parchment paper with the edges hanging over the tin slightly and transfer the batter mixture in it to get 1" thick layer of the mixture. Cool it completely and remove it from tin and cut it into squares.